Late Shri Chandulal Satia was the first Chairman and Late Shri Hiralal Bhagwati was the first Managing Director. Shri Bhagwati provided leadership to the bank for 11 years as Managing Director and then 21 years as Chairman. Shri Navnitbhai Choksi, leading cloth merchant and social activist lead the Bank for 2 years as Vice Chairman, 16 years as Managing Director and 3 years as Chairman. One prominent Industrialist Shri Ramakant Bhojnagarwala has also provided leadership as Managing Director for 3 years and as Chairman for 3 years. Bank’s Board comprises of prominent personalities from all the field of the Society. There are chartered accountants, lawyer, Industrialists, traders on the Board of the Bank. 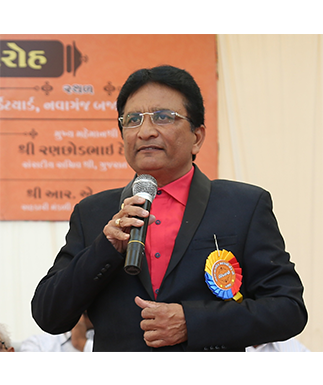 At present Shri Kshitishbhai Mandanmohan is Chairman and Shri Prakash Bhagwati is Managing Director and Shri Indermal Pukharaj is Joint Managing Director.